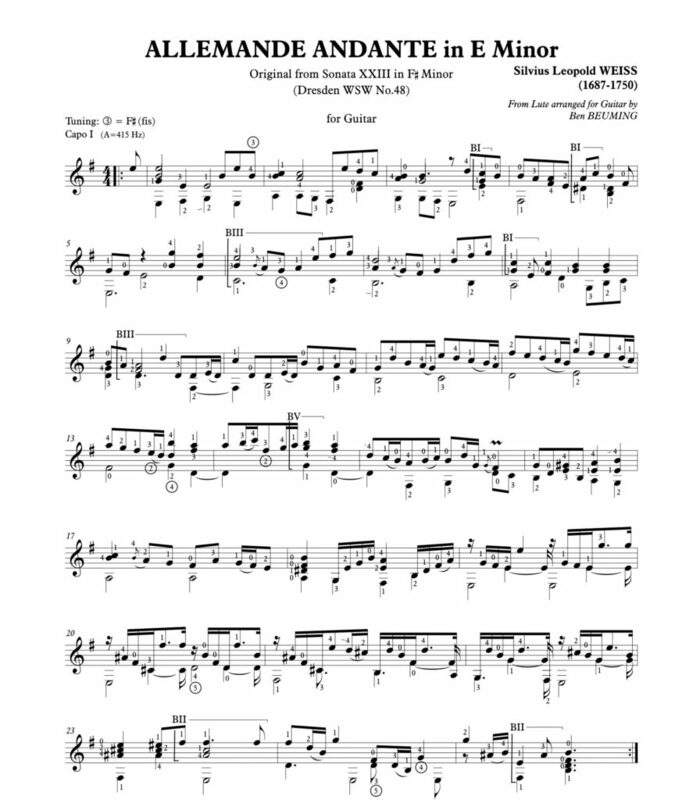 Sonata XXIII comes from a set of tablature manuscript volumes in the Sächsisches Landesbibliothek in Dresden (Ms. Mus. 2841-V-1). 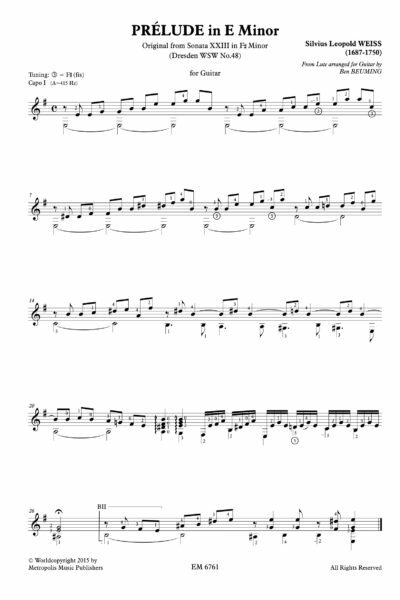 There are five volumes with a total of 34 sonatas of Weiss for solo lute. 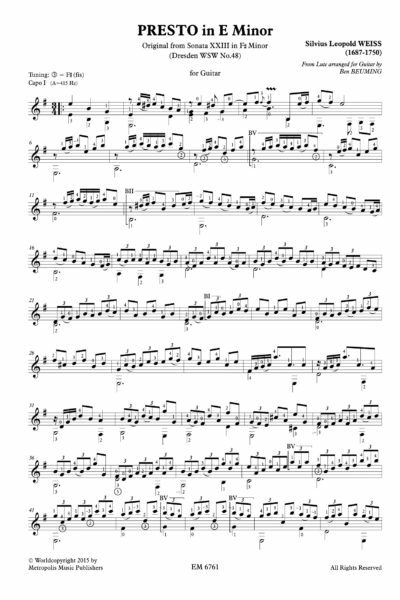 The sonatas are ordered by key and further sorted by size or complexity. 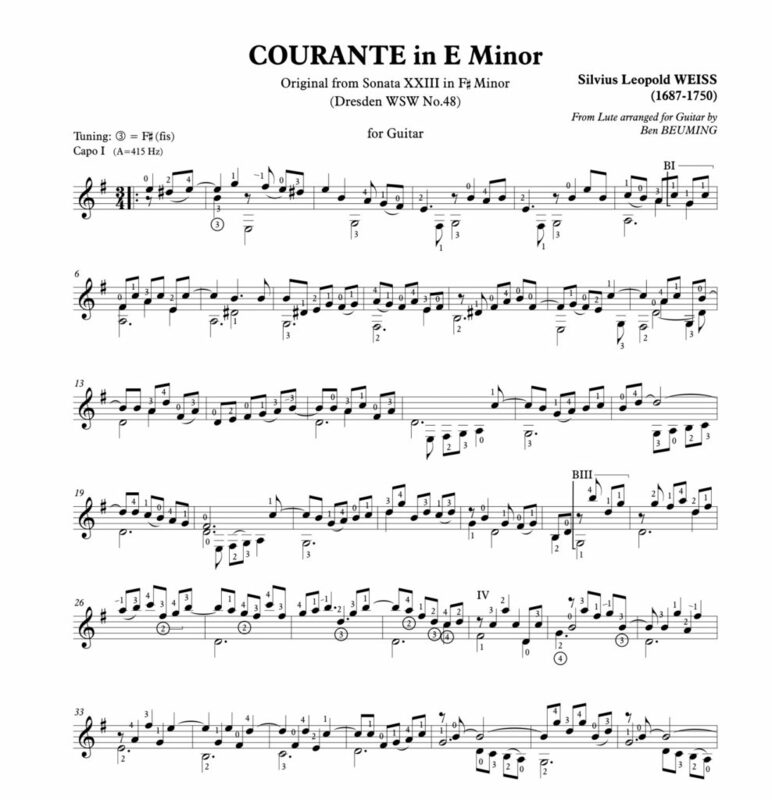 Sonata XXIII is a large and mature piece. It probably dates to the last period of the life of Weiss. 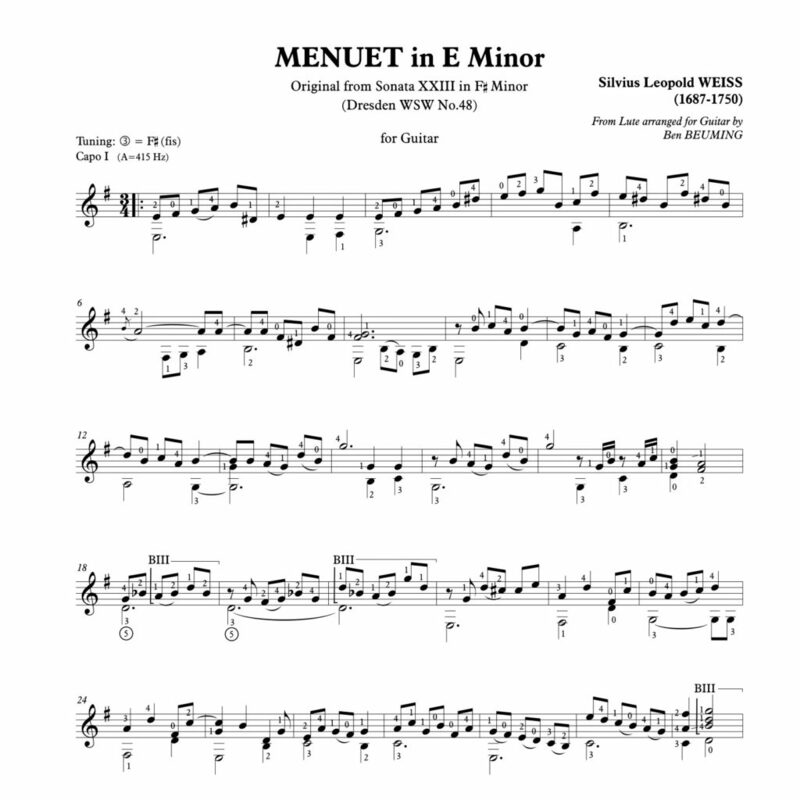 The Sonata has seven movements: Prelude, Allemande (andante), Courante, Bourée, Sarabande (andante), Menuet, and it ends with a Presto. 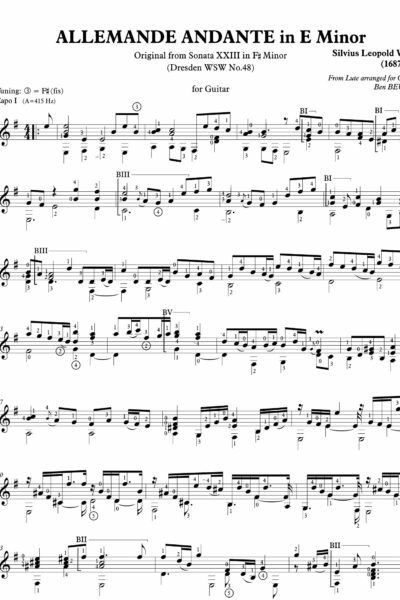 The use of tempo indications for French dance movements is characteristic for the later work of Weiss. The purpose of beginning a lute sonata with a Prelude is to introduce the specific key and the harmonic design of the sonata. 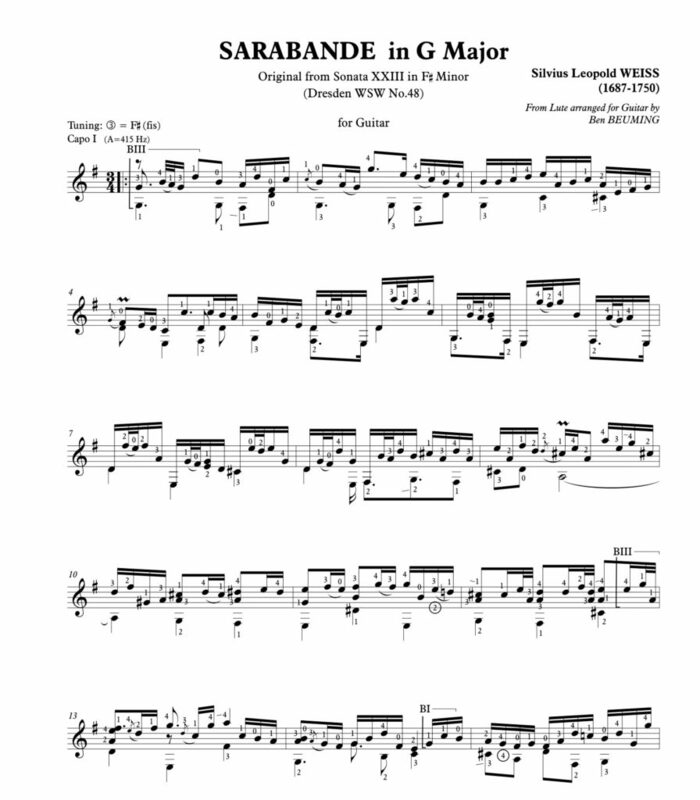 However, not every sonata in the Dresden manuscripts has a Prelude. 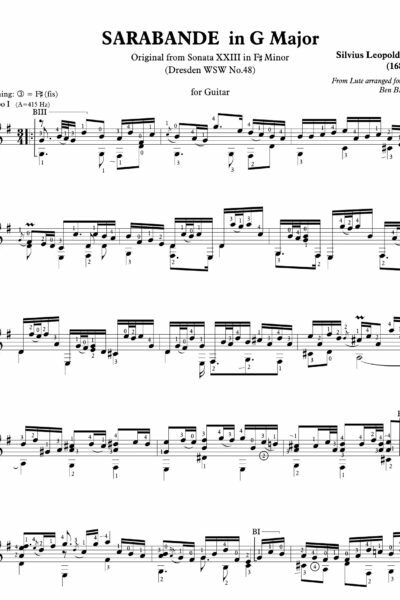 About one third of the 34 Dresden Sonatas opens with a Prelude, but only six of them may be considered truly integral to the sonata. 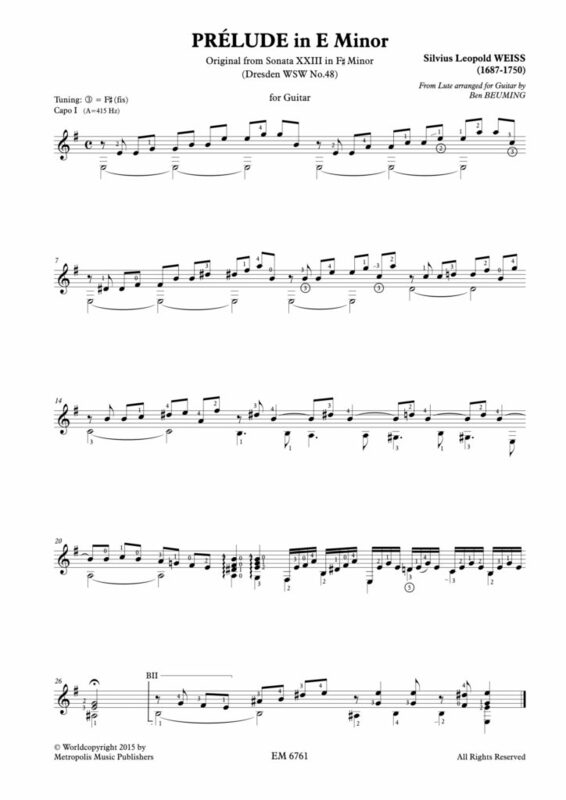 The other Preludes are composed in a rather ‘rudimentary’ style, as a model for the less experienced lute player to improvise on the central key and theme. They may have been added later in the copying process. 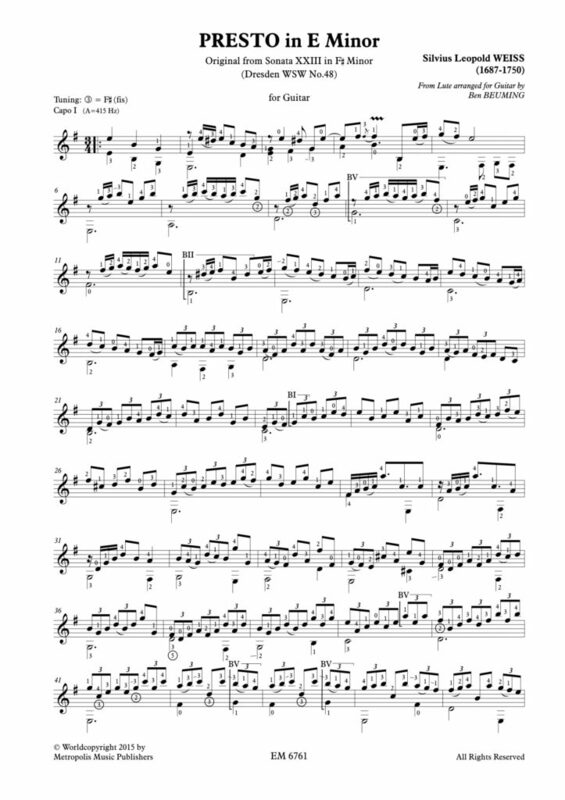 The Prelude of this particular Sonata is regarded as spurious, in respect to composition, a rather weak addition. 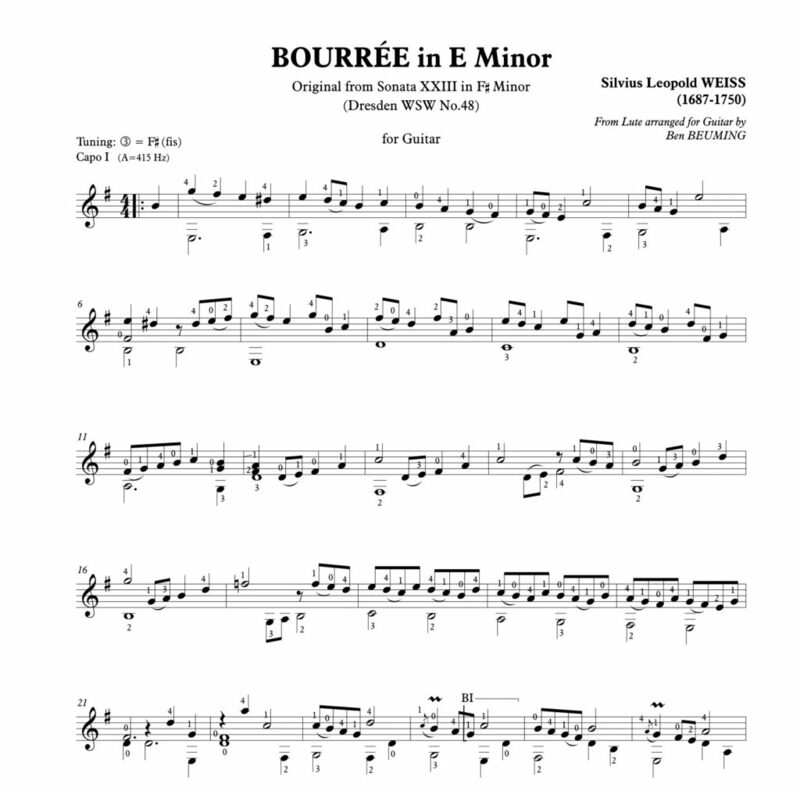 I have included the Prelude in this Edition, leaving it to the guitar player to judge whether it fits with the musical style and idiom of the Sonata or not. 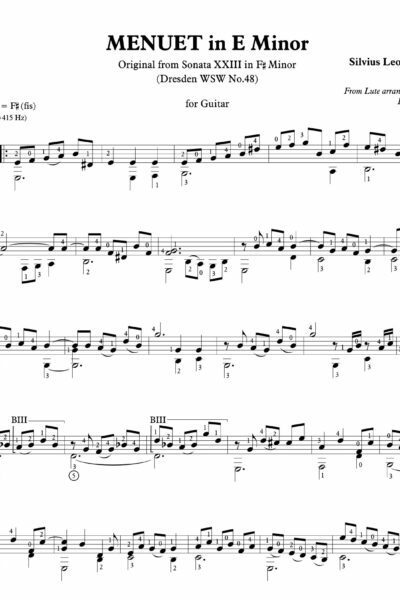 Originally, the Sonata is written in F sharp minor, a key often used by Weiss as it is appropriate for playing the lute, but rather awkward with the guitar. 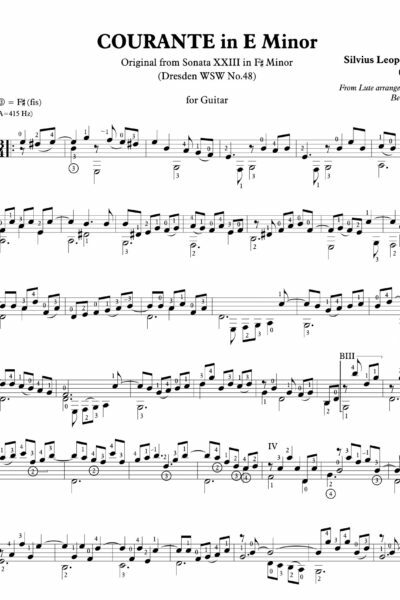 For ease and effectiveness of playing, I have transposed the Sonata a major second lower to E minor. 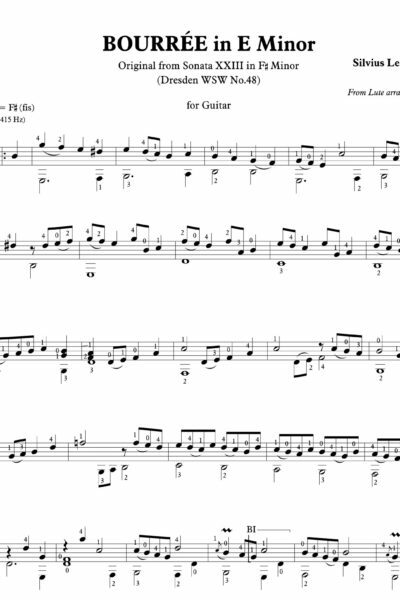 To create more concordance with the baroque tuning of the lute, the G string is lowered by a semitone to F sharp.